Home Crime Did Ahmad’s report to police lead to his death? Did Ahmad’s report to police lead to his death? As we mentioned earlier, the CIB and Professional Standards Branch are also looking into the role of the Special Assignment Team, SAT. Fareed Ahmad had made a report to the police, hours before he died. 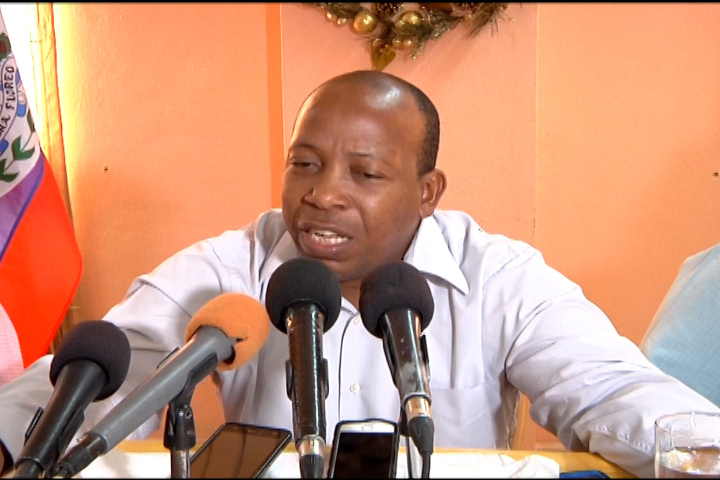 ACP Chester Williams says they are looking at whether that report had something to do with his death, but, so far they have been unable to obtain any substantive evidence that it did. Notwithstanding, ACP Williams adds that they will continue to follow up on the complaint Ahmad had made against the SAT. Additionally, the SAT members were among the first to arrive at the scene of the incident. According to ACP Williams, they have indicated that they went there to inform the Hattieville police that the WPC had an issued firearm and that they wanted to search for it. Additionally, they claimed that they were unaware that Ahmad had been shot. And what of the allegation that Brown may have been used to set up Ahmad? ACP Williams says their information does not point to that. Next article Has crime infiltrated the Police Department?